Ryan has been - he was fantastic. Fixed the door in 15 mins! Thank you for all your help Paul. Just a line to say how pleased we are with our new doors and the pleasant and professional conduct of the fitters. Thank you Tony and Paul (and Adrian too). Just a quick note to say thank you to you and your colleague for servicing our kitchen doors - it's made a real improvement. ... I would also like to add that we love the doors, they are fantastic! I just wanted to drop you a note to tell you how thrilled we are with our doors - they are amazing! Re your after sales visit on 2 November. I would just like to say thank you for the prompt and friendly service we received from yourselves regarding the fitting of new trims to the doors previously installed. It seems nothing is too much trouble, considering we live 160 miles away. Robert arrived promptly, he was very friendly and meticulous in his work. Thank you once again for manufacturing an excellent and visually stunning product. Just to let you know that Ryan and Dimi did a superb installation here today. Excellent professional job! Just wanted to say thank you for arranging for Robert to come last Saturday and fit our glass doors. He did a very good job and as before was courteous and professional. The glass doors look lovely. Thanks for sending the engineer. He managed to sort the problems out and advise on what do in future. I thought he had a great manner and was very polite. Just returned from a business trip, the trims look great, really finishes it off nicely. 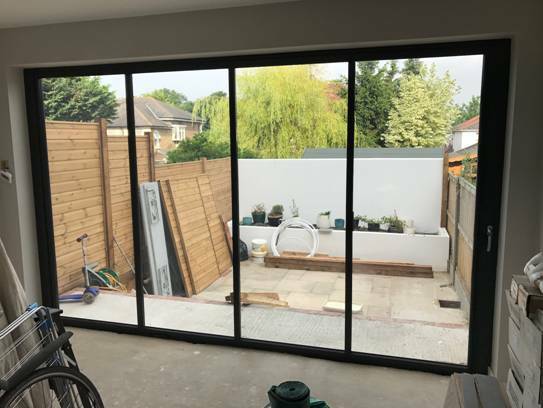 I just wanted to say what a sensational job you did yesterday at my home – the frameless doors look amazing – and lovely installers too! Many thanks for your speedy response to my service request. The problem was quickly sorted by your technician, he did a good job and was helpful, and also arrived when you said he would. Just wanted to say that Sue and I are delighted with our new doors. They look amazing and such a huge improvement from the original fitting and a huge relief for us that we now have the doors which we had hoped for. Adrian was very helpful and did a great job of fitting them. I've attached a couple of pics. I'll take some better pics when all the work is completed and send to you. Many thanks for turning that around for us. So very pleased with my frameless room divider. I was nervous about paying up front for the installation but the two men who came to fit the glass curtains were exceptional in both their work and it taking my endless questions and concerns. I now have a beautiful open aspect that allows better use of the ground floor space. Thoroughly recommend this product and this company. This is just to say a huge thank you. The doors are fantastic and your fitters were brilliant, diligent and professional. Your guys were great. Very happy with the doors. Will recommend. Just had sunseeker slide and pivot doors installed and are really really happy! 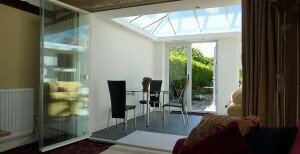 Look neat, let in lots of light and was a no hastle installation from start to finish. We did a lot of research. No problems at all from our recent experience. 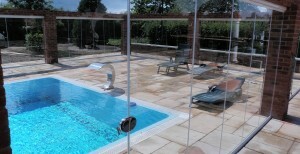 Having had SunSeeker Bifolds for several years (Xmas 2007ish?) we hesitated to get in touch when we began struggling with the locking system last month. Even though it was long after any warranty would surely have expired, you had an engineer in the area 2 or 3 weeks later, who called round and adjusted the door - and was gone 10 minutes later. All fixed! p.s. The doors still have that wow factor! 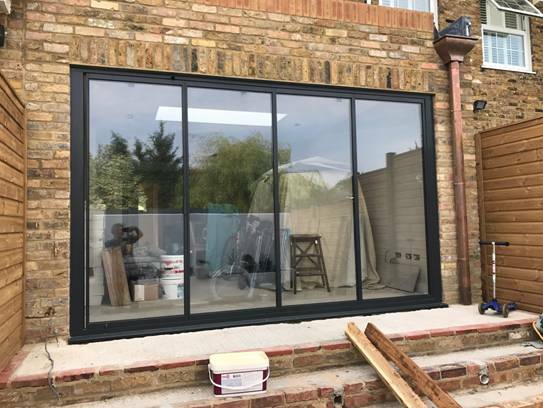 Having had the 4 metre, 5 panel Ultraslim sliding pivot doors fitted 15 months ago, and experienced all the seasons, it is a great pleasure to thank you and all your staff for producing such a great product. 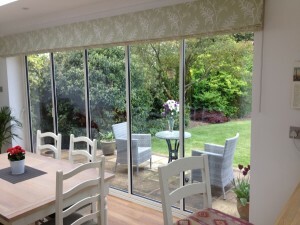 You were always cheerful and very helpful and the fitters did a great job. We were also very pleased with your after-sales service. It did feel a little risky buying something we knew nothing about - we needn't have worried! The doors look great - thank you! We have had lots of admiring comments already and I gave your details to an interior designer who popped over last week and loved them, so he may be sending some more business your way! We had a small problem with the lock on our bifold doors and the Sunseeker reps who came out could not have been more helpful. They fixed it for us with no fuss, were friendly and gave us really useful advice on maintaining the doors. It was a pleasure to see such good after-sales customer service. Thank you Sunseekers! We are very pleased with our lovely view of our garden now. Subject: Re: Sunseeker doors revised frameless single glazed quotation request. We had to share this email! I just wanted to thank everyone at Sunseekers for a smashing job on my patio doors. You've been fabulous, keeping me informed and sorting out everything; your surveyor was a star, making sure the builder understood requirements and being generally helpful and polite, with excellent product knowledge, and your fitter was poetry in motion, despite being on his own! A fantastic effort from all concerned - I'm having so much pleasure just admiring the doors and playing with them! 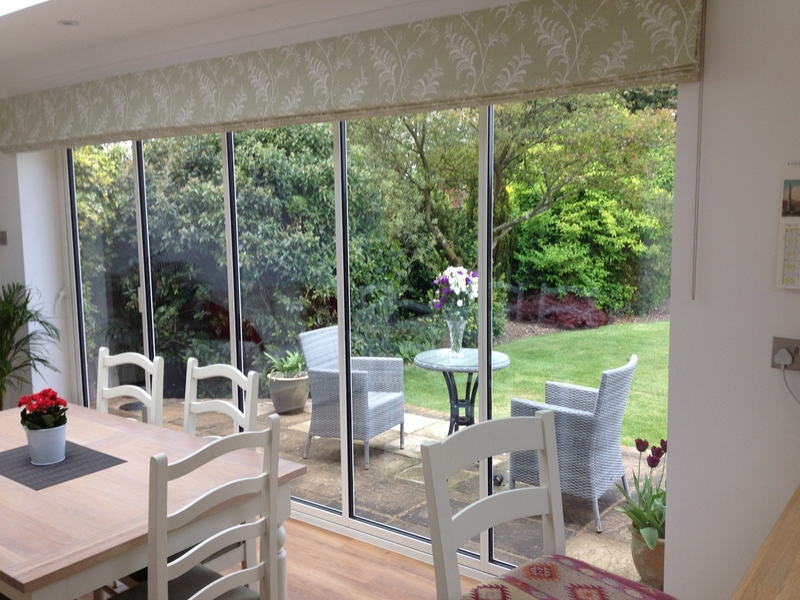 "Just wanted to say how pleased we are with our doors and how very efficient the fitter was. Mark, an architect based in the Bristol area, has specified SunSeeker Doors for his clients’ projects for more than five years. "Apologies for not sending this email sooner but thought I should just drop you a quick note to say how happy I am with the doors you manufactured. The fitters were also very good. FYI I have also recommended you to some friends (Chris and Rita) who may contact you shortly." "Just to let you know – our doors and windows were installed today and they look... AMAZING!!!!!!!!!!! Thank you – its been a pleasure dealing with you." ... SunSeeker for a job well done. The doors are just as good as we would hope and have been installed very well. Your installation team were first class. To me, the measure of a company is how they overcome a problem ... and in the case of yourself and Sunseeker I could not ask for more ... I am sure that we will be asked 'where we got the doors from' and I will have no hesitation in recommending you.